The autumn and winter are the most turbulent times for construction activity, as inclement weather can easily see things grind to a halt, but with construction hoardings surrounding your site, you can down tools with slightly more peace of mind. Of course the weather can turn at any time of year, but from the autumn through until mid-spring there is the greatest likelihood of rough conditions making it impossible to work, whether through wind, rain or snow. Construction site fences are a feature of both safety and security, preventing unwanted visitors from straying into harm’s way while work is underway, and keeping potential thieves out when no employees are on-site. But in many cases, wire fences do not prevent opportunists from being able to see through, to spot any equipment or valuable vehicles left unattended. Construction hoardings can create a solid screen around your site, wrapping over any gaps between individual fence panels so there are no remaining spaces to spy through. This all helps to improve security, by creating a physical shield against prying eyes that can encompass the full perimeter of your site, as well as reaching right to the top of your security fences without interfering with any trespasser deterrents that might be fitted along the top of the fence. 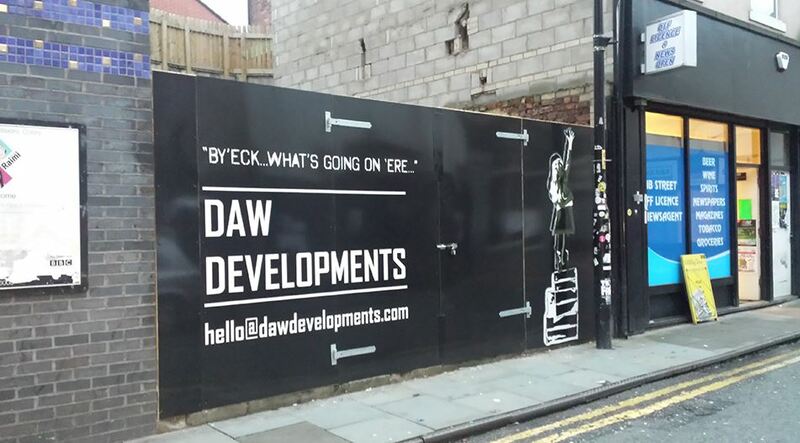 Meanwhile, you still benefit from the marketing value of construction hoardings, which can offer a vibrant and colourful preview of what the finished work will look like, or display your brand name and other marketing messages. During the gloomy winter months, this can be especially beneficial, by making an otherwise drab construction site into one of the brightest locations in town – and helping to build a sense of excitement in the minds of local residents, ready for when you launch your new premises in the sunnier days of spring.